This strap end punch, also known as an end chisel, is used with a mallet and a cutting board, to make beautiful rounded ends on straps such as belts and bracelets. 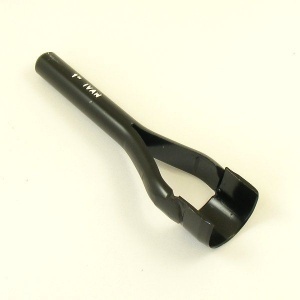 Although the width of the tool is 1", it can also be used to make a neat curved end on narrower straps. This is a sturdy, heavy weight tool which will last for many years. 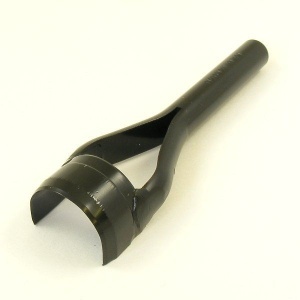 We also sell a larger version of this tool, suitable for widths of up to 38mm.